I have no words. I have no words. Well, that was my initial reaction as the credits rolled up for Avengers: Infinity War. Hell, that was my initial reaction after the first ten minutes of Avengers: Infinity War. For ten years, the Marvel Cinematic Universe has been building to this moment of cinema. For ten years, we’ve been waiting for this moment of cinema. Was it worth it? You bet your life it was worth it! It’s hard to say much about Avengers: Infinity War without spoiling it. So I’ll just give you the bar minimum of the plot. 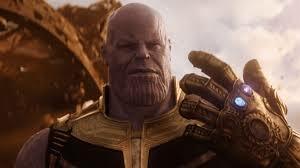 The evil Titan Thanos (who we’ve seen a few times before!) is pursuing the six Infinity Stones (five of which have been seen in previous MCU films). For what purpose, you may ask? Well, he wants to wipe out half the galaxy/universe. It’s up to the Avengers to stop him (and it’s up to you to have done your homework by watching the MCU library. Trust me, you’ll need it! I don’t know how anybody could watch this film in isolation from its predecessors). It sounds simple on paper, and the plot itself is pretty simple as well. That’s not a knock, but those expecting the plot twists and intricate story of, say, Captain America: The Winter Soldier or Captain America: Civil War will be disappointed. We follow Thanos in his quest to obtain the Infinity Stones and we follow the Avengers in their attempts to stop him obtaining them. But there’s still enough happening to keep us engaged throughout the epic runtime. Trust me, you won’t notice the plot’s overall simplicity. There’s much more happening that meets the eye! Infinity War runs just under 150 minutes, and it’s a credit to the film that the film rarely drags. At times you can see the gears grinding and the wheels spinning, but those moments are so few and far between that they don’t matter. One of the major attractions of Infinity War is simply seeing previously unconnected superheroes connect! I hate to spoil anything, but an old friend looks like he could become a new addition to the Guardians of the Galaxy (and adds plenty of humour as well!). Two very similar superheroes rip into each other within moments of meeting. It’s these little moments that would make any comic book fan tears muscles in their mouth with smiling so much, but should mean equally as much to those people who’ve only watched the films. Yes, this is an event film. The various meetings of superheroes make it feel like a huge event, one even bigger than The Avengers in 2012. There, only six Avengers united to save planet Earth. Here, countless superheroes are uniting to save the universe. 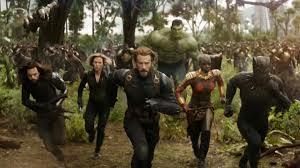 The stakes have never been higher, and Infinity War amps up those stakes by shocking the audience merely minutes into the film. Don’t get me wrong, there’s plenty of the typical MCU humour we are accustomed to in Infinity War. It will have you laughing out loud. Sometimes, the humour can get in the way of what Infinity War wants to achieve. Because Infinity War embraces its dark side with glee. It’s not DC levels of darkness, but it’s the darkest MCU film by far. And, after a decade of relative lightness, darkness is what the MCU needed. It’s helped by the large amount of attention given to the villain, Thanos, who immediately shoots to the no.2 MCU supervillain (let’s face it, no one will outshine Loki!). He’s typically evil, but notably sympathetic. In fact, you could see Infinity War as a Thanos film. His relationship with Gammorah is the brutal, beating heart of Infinity War, giving Thanos a human, emotional side that we rarely get to see with MCU supervillains. Even though you’ll be thoroughly entertaining by our superheroes uniting all up in your face, it’s Thanos who’ll leave a lasting impression as the credits begin to scroll. It’s not all good news, however. I found myself irritating again and again by the direction of some action sequences. It’s a problem that I find in most action movies nowadays: the camera is too close to the action! You can barely decipher what’s happening! Why not just pull out the camera just a little, so we can see some of the background to the fighting! Honestly, it really winds me up! Some of the action sequences are superlative (such as an EPIC battle at the end of the film), but some action sequences need opening up. That, and the occasional overuse of humour, are my only real gripes against Infinity War. The Russo Brothers showed that they can balance a horde of superheroes in Civil War, and they prove it here with an even greater number of superheroes. Even those who don’t get a great amount of screen-time still have plenty of value to the ongoing storyline. There’s no one that feels underused, which is a credit to the Russos and the screenwriters. To showcase countless superheroes plus a great supervillain is a juggling act that the Russos pull off with aplomb. Since Iron Man, the MCU has been building to this moment of cinema, a moment that will go down in cinema history as something very special. Fortunately, the moment itself isn’t merely a moment, but a film that proves it should live proudly in cinema history. It’s everything you ever want…it’s everything you ever need…and it’s here right in front of you. Yes, there are a few issues, such as the overindulgence of humour and some shoddily directed action scenes. But Infinity War embraces the dark side with glee. And you won’t stop thinking about it after the credits roll. VERDICT: 9/10. For the past ten years, we’ve been waiting for Infinity War. In ten years’ time, we will still be talking about Infinity War. I’m not sure if it’s the MCU’s finest work, but it’s a damned fine piece of work. It’s a balancing act that’s simply magic in its execution. 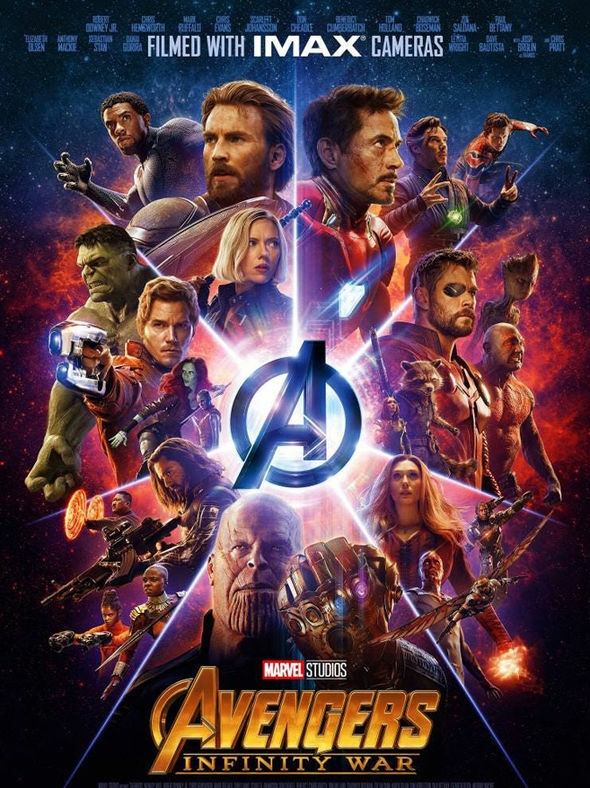 What did you think of Avengers: Infinity War (2018)? Leave your thoughts below! Click here for my reviews of the MCU catalogue! Next Article Marvel Cinematic Universe Films Ranked From Worst To Best! I was really impressed with the visuals of Thantos and Thor’s trips around the universe. It did as good a job of making outspace look worthwhile to visit as Star Trek or Star Wars. Star Trek can make outerspace look strange and Star Wars can make outerspace look beautiful; Infinity Wars did both.